Yes I did. They interviewed the Premier, Gladys Berejiklian and after all the niceties, Fitzy went in hard over pill testing at music festivals. He tackled her over the stand on not allowing it. He’s done this before too with the lock out laws with this Premier and the previous one. What role did she play? Lead comedienne? Shared own stories? Quiet with occasional female laugh? Something else? In Brisbane, there seems to be a preoccupation with what schools Brisbane raised locals attended. In a clockwise order, Luttsy went to Nudgee (in blue), Ash to TSS, Susie to All Hallows’, Nick to Terrace and Mitch Lewis, unsure. The trio reunites after a recent stint on Summer Breakfast. I wonder how long this will last? With MDG and Sarah doing six days a week now… Maybe it will become national? 6-8am is different… wouldn’t 7-9am be more reasonable on MDG and Sarah?? Probably pre-recorded content. They may do it Friday morning after the breakfast shift. Also, Sarah will go on maternity leave in a couple of months so they will need a replacement for both shows. How many children will she have had by then? Thanks @JBar, certainly recall Sarah had been on maternity leave before. 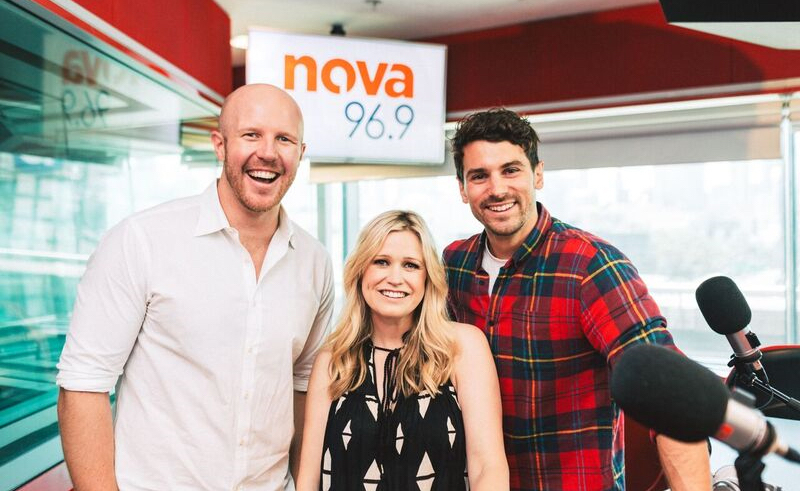 Susie O’Neill has finally succumbed to the lure of the studio and joined the Nova 106.9 breakfast team full-time in 2019. Susie took up breakfast broadcasting with the Nova team in 2015 but until now has resisted Ash, Kip & Luttsy’s lobbying for her to embrace the five-day work-week. The early starts aren’t an issue for this Olympic legend but working five days a week is a first for the swimming superstar. “This is the first time I’ve ever had a full-time job!” Susie declared on air. "Well…working five days a week," Susie replied. The Nova Brisbane breakfast team celebrated Susie’s first full-time gig by strapping her to a human-sized lazy Susan. The contraption was built for a Chinese New Year competition where listeners could spin Susie to win the chance to join them at a Chinese New Year dinner. 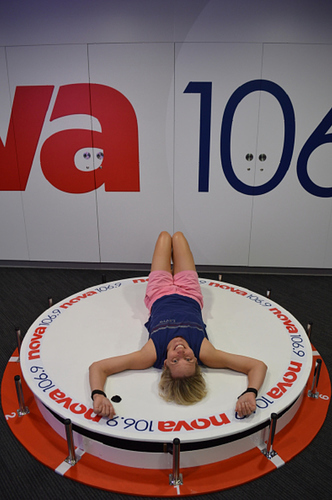 The Lazy Susan was then taken to the dinner where Susie was strapped in and spun to discover which of the five listeners would walk away with a $10,000 travel voucher. After a solid spin, Susie landed on the edge of Spin Again/ Number 5, which saw listeners John and Sarah win the Eva Air sponsored $10,000 travel voucher. I know it has been said before, but whoever is scheduling the music for Nova106.9 needs to be Head of Music across the Nova Network. If Sydney had the same playlist as Brisbane they’d be KILLING it! They still run with “Greatest Hits” however this is still a rather layed back approach to it. Nova Brisbane still sounds a little like the old “sounds different” era… and less Hit/KIIS Network like their Sydney station. Yeah, Nova in Sydney has really lost the plot this year. It’s like they’ve become the 2WS for 90s & 00s music. So sick of hearing the same songs on high rotation by Beyonce, Justin Timberlake. Pink, Bruno Mars, Lady Gaga, Ed Sheeran. I’ve never listened to The Edge and Triple J as much as I have this year. 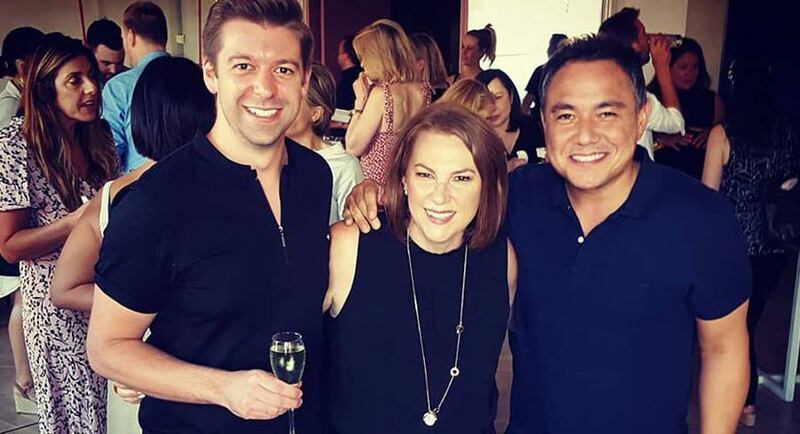 Nova’s brand partnership director Tanya Simpson is leaving the network. “Although it hurts a little, my heart is overflowing with love and gratitude for every person who has made this journey SO amazing. I agree, Nova 96.9 is sounding very stale with the same greatest hits over and over again every day. I am listening more to Triple J and the Edge now. Steaming Nova 106.9 at the moment and the station sounds fantastic!!! Yes they use the Greatest Hits positioner, but they have resisted the move to the format as much as possible. Playlist mostly current music, and songs exclusive to Nova 106.9 with a couple of throwbacks as they still call it thrown in each hour. Nova 96.9 main problem at the time was repititon of the same current hits every two hours, and the audience not warming to Greg Burns. They fixed one of the problems by axing Greg Burns. They just Needed to stay with the Fresh hits format and expand the playlist to reduce the repitition. A few throwbacks each hour is fine but not 50% of your playlist which is the case now. PJ’s approach to go up in the ratings, we will play the same old songs as kiis and the not so old songs on 2Day. This is how it should work in my opinion. At breakfast with Fitzy & Wippa it should be all fresh hits. Chart hits, new music and alternative stuff. Maybe as a treat and point of interest play ond throwback. Make it a competition where it pops up randomly in the show and the first caller who hears it and csn correctly identify title and artist wins a prize. The same thing could be done for Kate, Tim and Marty. The greatest hits should be limited to the workday between 9am and 4pm. There should be a much, much wider greatest hits playlist mixed with fresh hits. Nobody wants to hear the same old hits more than once a week. Tanya Simpson is leaving the network. A big loss for them, good on her for trying something different. That’s not new. It’s been happening for a couple of years. We’ve talked about it here when it first started running.